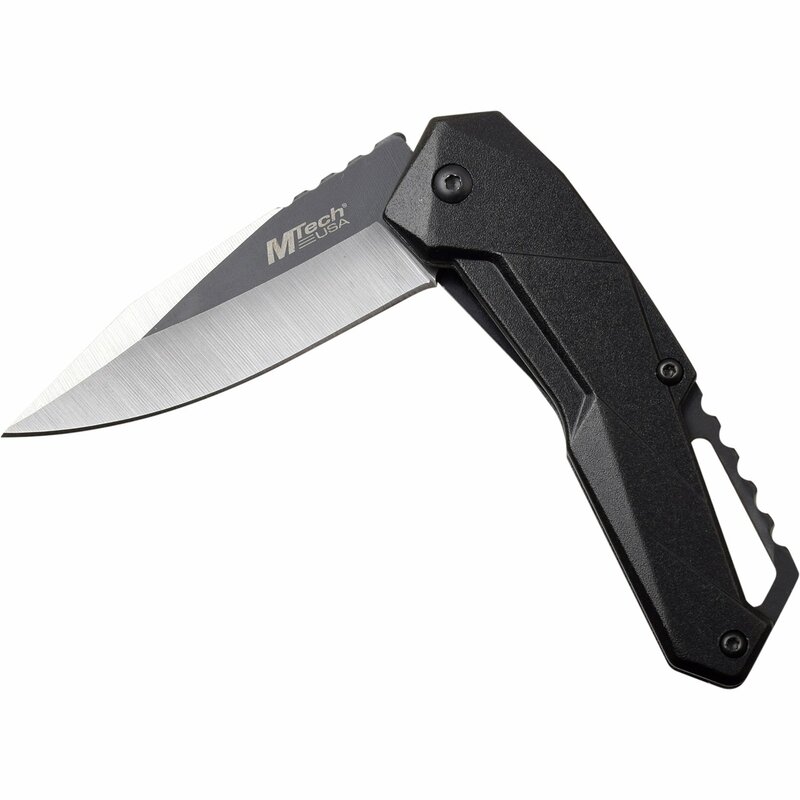 Mtech pocket knife. 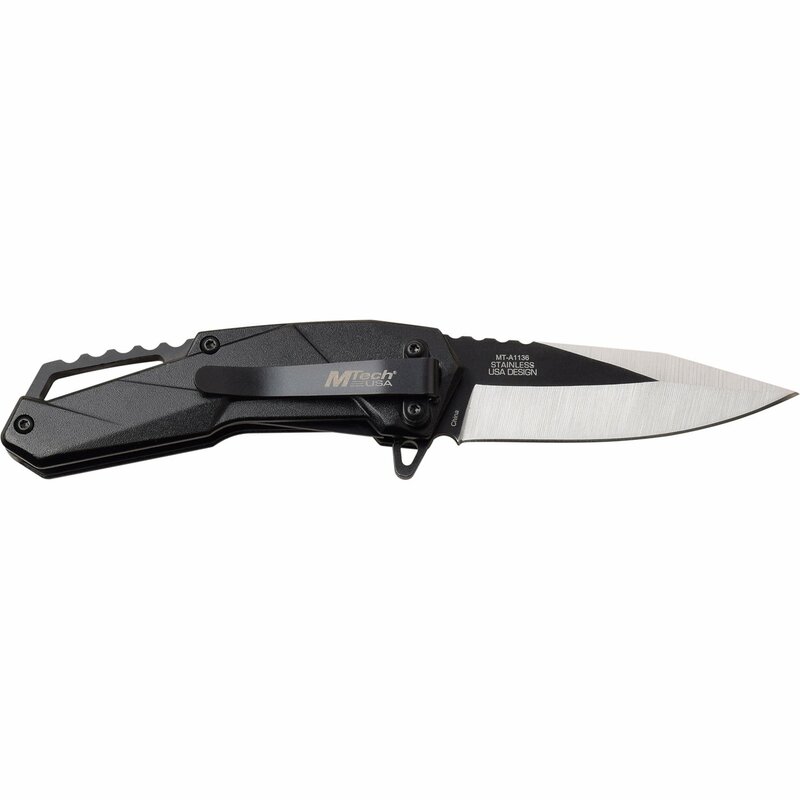 Assisted opening knife has a 6.55 inch open length. Includes pocket clip. 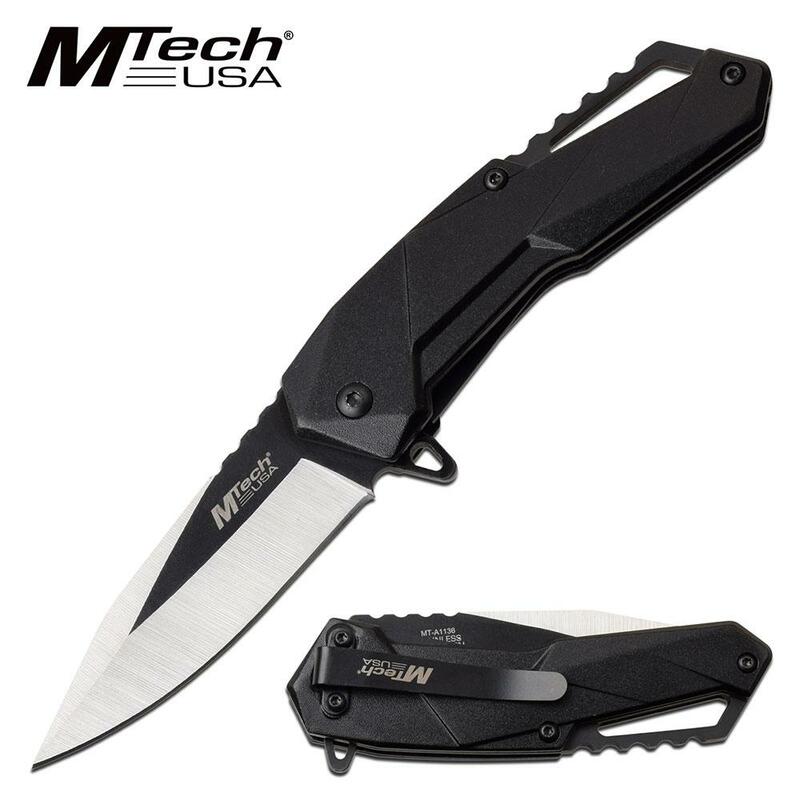 Mtech assisted opening knife 6.55 inch open length. 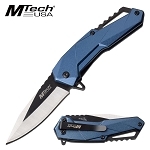 Knife blade is 3cr13 steel two tone and length is 2.8 inch legal. 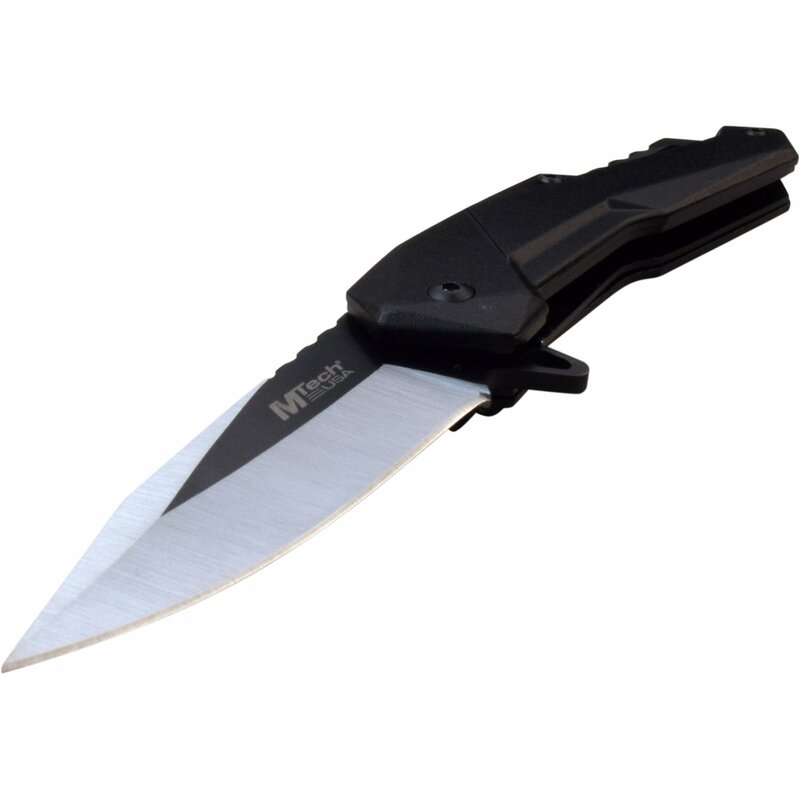 The handle is constructed from anodized aluminum and handle length is 3.75 inch. 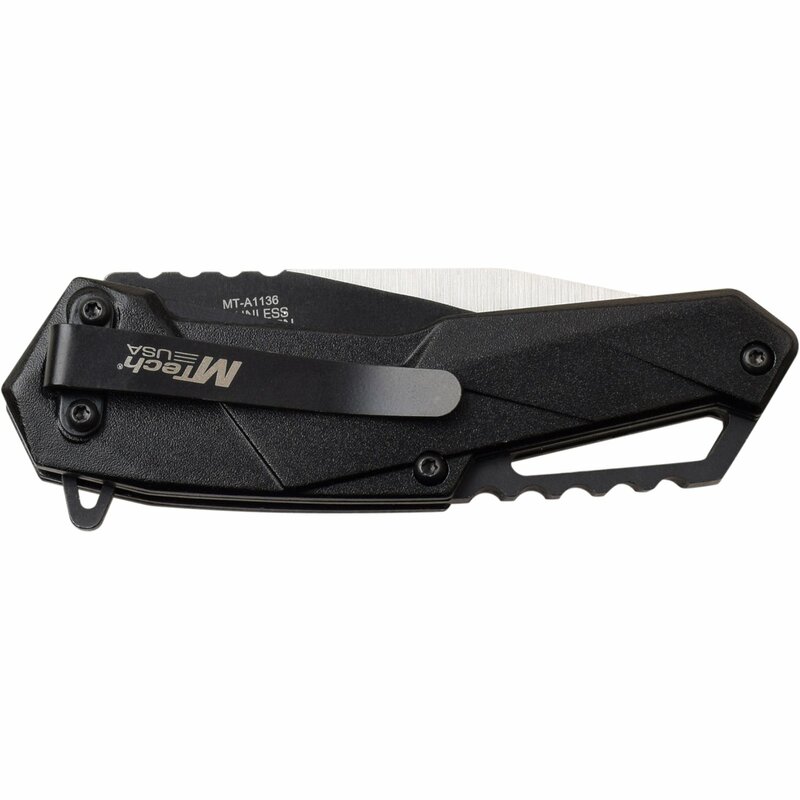 The knife includes a pocket clip.